In the past I have viewed the whole concept of stencilling as a little daggy but recently I have noticed a resurrgence with many a creative homelover adorning walls, floors and even ceilings with gorgeous designs. 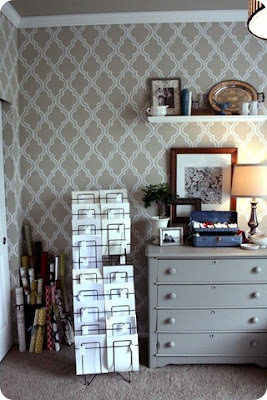 While I imagine it does require some patience, some of these are enough to have me hunting down the perfect pattern! 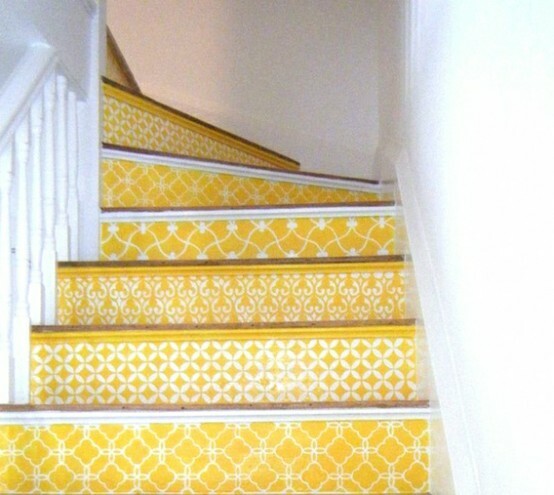 Love those yellow stairs! I'm toying with the idea of doing something funky with our stairs, but what to choose? The constant dilemma. 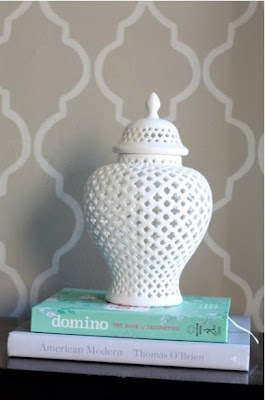 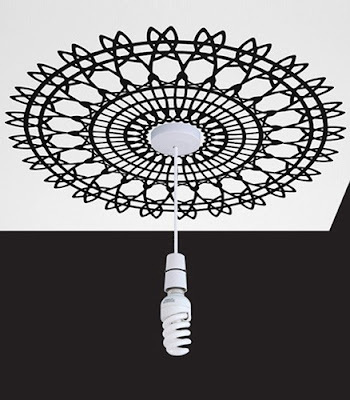 LOVE the first photo and the stenciling around the light! Great images! 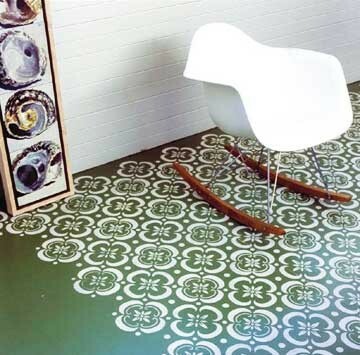 Love love love the second image of the stenciled floor, and the impact of the third image! If I was as gifted as these people, I would TOTALLY stencil my room! 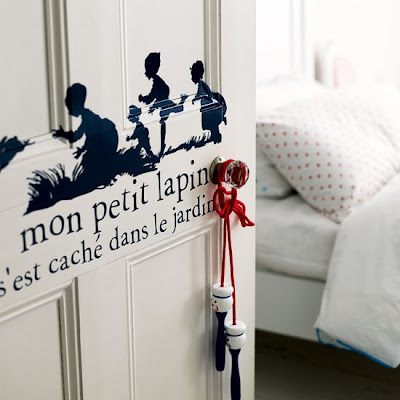 What lovely pictures! 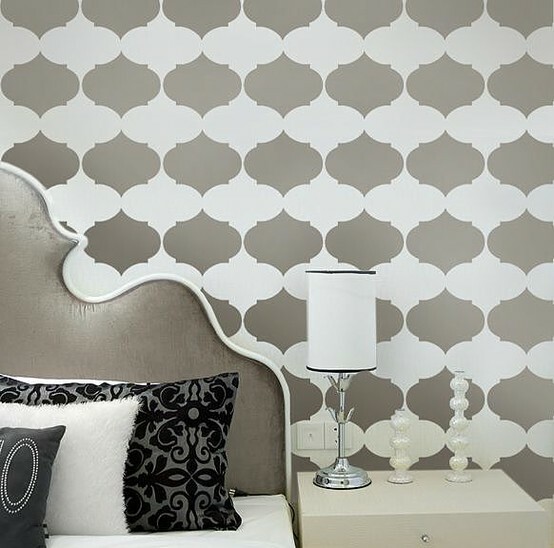 This is definitely inspiration for our next home. 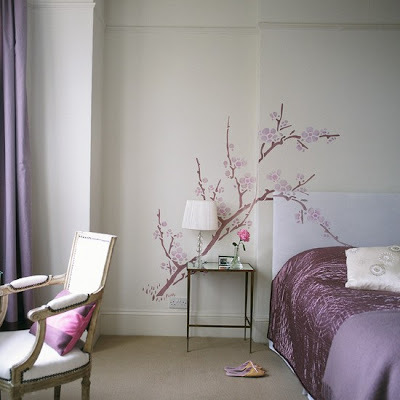 That second photo is fantastic! 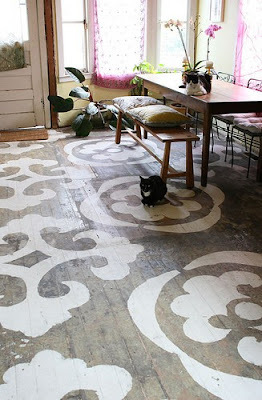 i don't think i would have the patience for stencilling i would get it all over the lines. but your images are great so neat, especilally love the french one on the door. 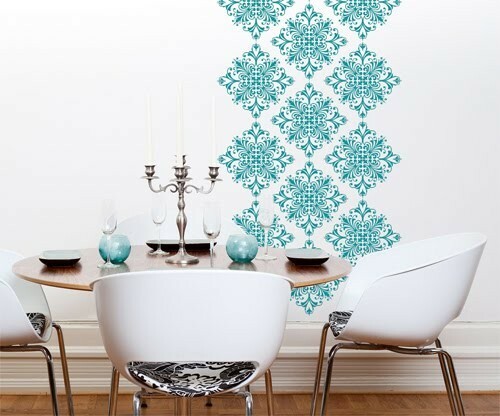 These stencils look gorgeous but I don't think I will ever have the patience to do it. 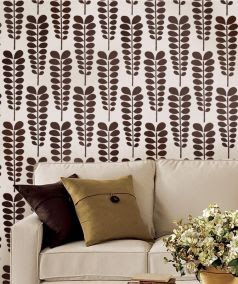 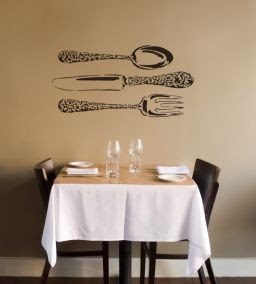 Stenciling sure has come a long, long way, a great departure from florals or vines in the older days! Love the stencils on the floorboards in the second pic...divine!